We are very proud of our Swedisch young boy "Franz". 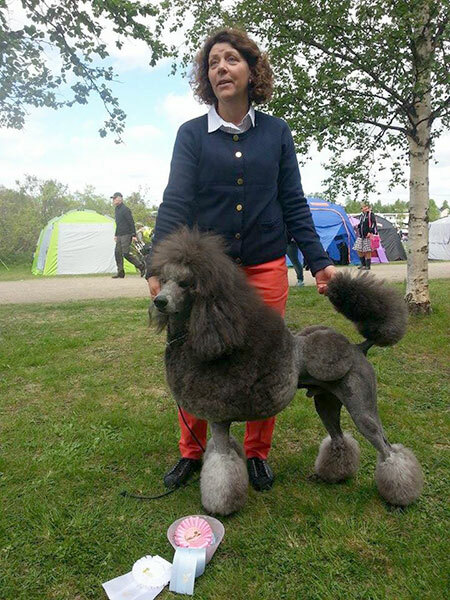 He won in Gällivare his first Swedish Reserve CC and the CACIB of his color group. To get a CC in Sweden is not easy for such a young Silver. He has to compete against all colors of his size. To win a Reserve CC is something to be very proud of. Many thanks to Finish judge Mrs. Tiina Taulos and big congratulations to his owners Maritha and Kalle Ögren!